A1 Reading practice. The first exercise consists of filling the gaps using the Present Simple tense. It can also be used to revise routines, preferences and hobbies. This downloadable teaching material is a great resource for high school students, elementary school students and adults at Elementary (A1) level. 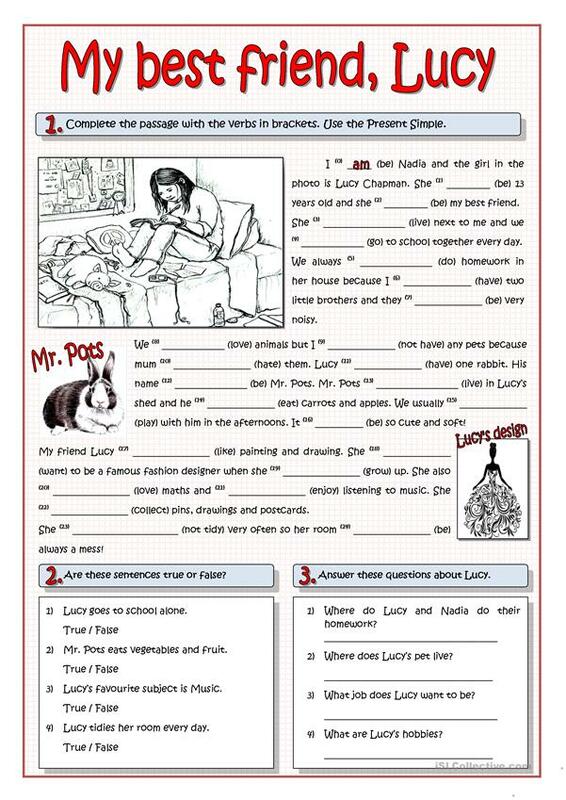 It is aimed at practising Present simple tense in English, and is a valuable material for working on your class' Reading skills. It centers around the vocabulary topic of Hobbies.